This blog entry was first posted at A Platform for Good, a project of the Family Online Safety Institute (FOSI) designed to help parents, teachers and teens to connect, share and do good online. A dad tells me that his son is addicted to Minecraft, a well-known video game. A mother says that her daughter has a tantrum whenever she takes away the iPad. “She is texting her friends all night long,” says another mom. One father is setting limits on electronic use for his kids, but he gets so much pushback, he’s ready to give up. More than 30 parents turned up on a weeknight in the middle of July for our workshop at PEP to help parents get a handle on their kids’ overuse of electronics. It was a bit of a mystery to me why this has become such a bane to modern parenting. As a psychotherapist and a parent of three twenty-something children myself, I know never to judge. When my kids were young, TV and video games were the constant lure. But, they weren’t such a draw to parents themselves. As a parent educator, I watch parents wherever I go, and notice what they do, how they talk to their children, and how they discipline. Mainly, I notice parents on their own electronic devices. Mothers on their cell phone talking in the grocery store, while their children sit in the basket; parents in the carpool line reading e-mail on their smart phones, not even noticing when their kids get in the car. I see dads at soccer games, spending the entire time on their Blackberry. If that were my dad, I’d rather he didn’t come! We adults are constantly checking our phones, working on computers, or watching Netflix. Part of me is thrilled that my kids are launched, so I don’t have to set that example. I love my devices! But, how is it any wonder that children are so enamored with electronics? Even my 18-month-old niece will take the closest device and put it up to her ear. They are simply following our example. If you are really serious as a parent about setting limits on your children’s use of electronic devices, take a close look at your own screen habits. Especially in the early years, children are only imitating what they see. Try keeping a log of how much time you spend checking your devices. How many do you have in your house? Are you in control of electronics, or are they in control of you? Do you feel guilty, or anxious if you don’t have your phone, or haven’t checked it lately? We all need to do a better job of managing the overuse of technology devices. Part of the problem is that parents have become managers. We are so busy doing, that we miss out on actually being with our children. Parents are busy making sure they get kids to this practice, or that class. Are children doing all their homework, keeping their schedule? Creating the resume necessary to get ahead? 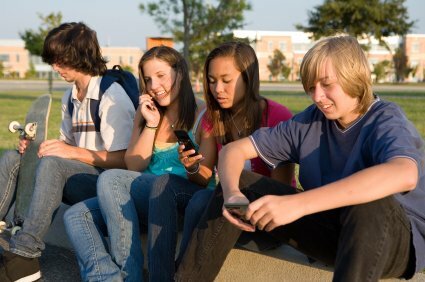 Will this current generation of children lack the ability to look inward, to understand their emotions, because they are so busy trying to accomplish more tasks, including keeping up with their friends on Snapchat, Instagram and Twitter? The ability to slow down reactions and look inward is a skill that is critical to developing kindness, resilience, and what we call mindfulness. It is a skill that is becoming lost, and undervalued. We so clearly need to help our children develop awareness of their feelings and empathy toward others. This comes from simply being with each other, and not while we are using our iPhones. I want to suggest to parents that they begin with their own awareness, slow down, and tune in to their children. When people experience real connection, there is nothing better. You will create a relationship around appreciation, cooperation and caring. Then, you can begin to establish limits and agreements as a family that believes in connecting face to face. Once you have that connection, they know you are coming from a place of understanding and trust. Without this connection, a contract with your child is useless. Tory Joseph is a Certified Parent Educator who has been teaching parenting classes for 1​7​ years, including PEP’s 10-week core classes, and workshops on Anger Management, Siblings Without Rivalry, Helping Kids Take Responsibility, Mindful Parenting, Emotion Coaching​ and Positive Discipline. She is fund development chair​ and former president of PEP’s Board of Directors. Tory has a Master’s degree in Counseling from Boston University and a post-Master’s certificate in Clinical Community Counseling from Johns Hopkins University. She is a psychotherapist for the Imago Center of DC​, and lives in Bethesda with her husband. They have three grown children, ages 26, 24 and 20.